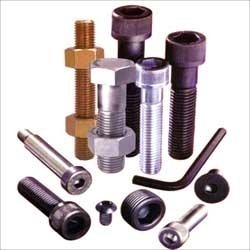 With rich industry experience, we are a distinguished whole seller and exporter of Ferrous & Non-Ferrous Material, and Stainless Steel Rods, Pipes, Sheets, & Plates. Our product range comprises Aluminum (Non-Ferrous Metal) Sheets, Brass (Non-Ferrous Metal) Wires, Stainless Steel Plates, Stainless Steel Pipes, Stainless Steel Rods, and Stainless Steel Wires. Apart from these, we also offer Stainless Steel Angles, Stainless Steel Coils, Alloy Steel Plates, Pipes, Alloy Steel Rods, and Beryllium Copper (Non-Ferrous Metals). Largely appreciated by our clients for their high-quality features, our products are widely used in diverse industries such as heavy engineering, chemical, fertilizer, paper, sugar, textile, pharmaceutical, petrochemical, cement, and ordnance factories. We procure our complete product range only from reliable and trusted vendors to ensure high standards of its quality. Our export market is spread across the globe in various regions like Indian Subcontinent, East Asia, Middle East, and South East Asia.